My focus this week is: ‘set your foundation and open to grace’. Root to rise, in order to find inner harmony. Therefore I explored Tadasana (mountain pose), a really grouding yoga posture. Just like yoga postures, food also has an influence on the body and on our energy system. Therefore, I will share a juice recipe that will help to ground your energy. Root vegetables in particular have a grounding energy and help to balance the Muladhara (root) chakra. Red is the color of the muladhara chakra so I choose beetroot for its color and rooting benefits for this recipe. Beets also have a lot of health benefits. They lower your blood pressure, support healthy hair, nails and bones, support the tissue growth, stabilize the blood sugar levels in the bloodstream and act as a powerful anti-oxidant. 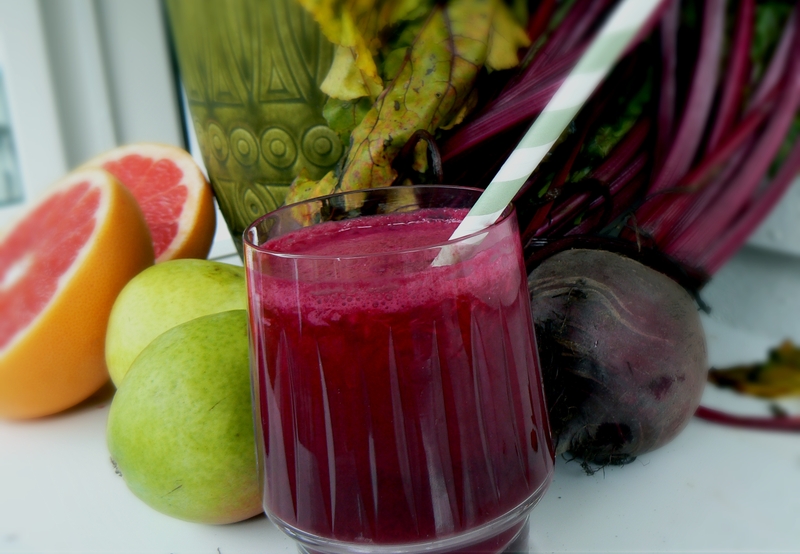 Since beetroot has an earthy flavour that is not appreciated by everyone, I lightened the beetroot juice up with grapefruit and pear, and added ginger for a spicy note. I made 400 ml of juice with the following ingredients. I had a medium size beetroot, a really big grapefruit, and two small pears. So it might differ if you use different sizes. You need a juicer for this recipe. Juice the beetroot, pears and gingerroot. Squeeze the grapefruit and 1/2 a lime. Mix the juices together and your Grounding Beetroot Juice is ready. Serve the juice in a beautiful glass, find a nice spot, root your sitbones down into a chair and take the time to enjoy your juice. 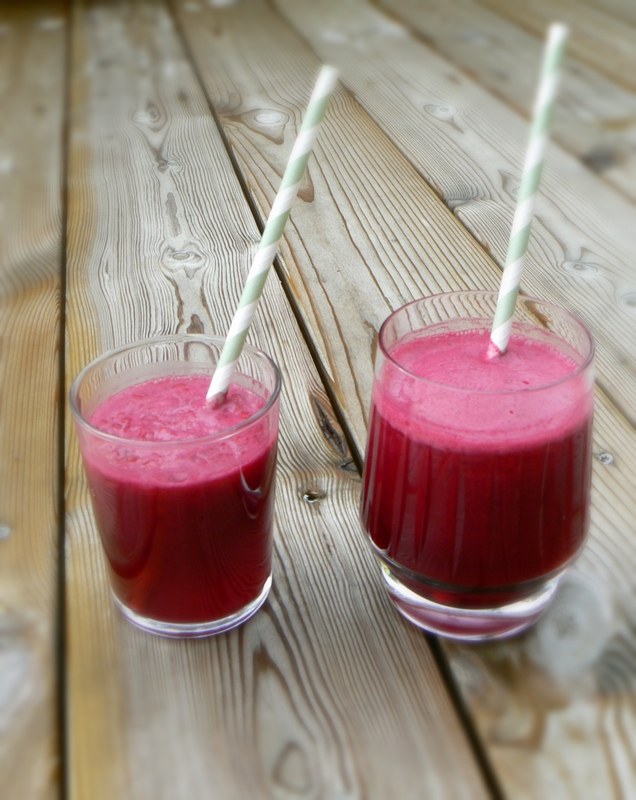 Please let me know if you like this juice and feel free to share your beetroot juice recipes with us in a comment.